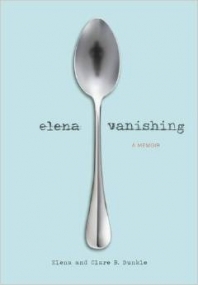 ELENA VANISHING is the story of Elena Rankle's experience with anorexia nervosa as told by Elena Rankle. This memoir was very hard to read, having struggled with appearance and eating disorder-related issues for most of my life. Reading Elena's thought process as she was dealing with the full intensity of her disorder, I recognized her thoughts and feelings in myself and girls that I have known, if not in the specifics then in the general aspects. I was in awe at the pure, raw emotion of Elena's story, amazed by all the details she was willing to share. Her strength is astonishing, both the strength that she showed in her actions and in her choice to claim her story as her own and to tell it as she wanted to tell it. 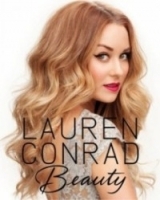 She fought for this book, dedicated herself to portraying her life and her experiences honestly in the hopes of helping other girls who might be struggling like her, and I think that is such an example of strength and bravery. My heart broke for her through much of this book while reading the depth of the suffering that she went through because of circumstances outside her control. By the time I finished reading I felt like I knew her, like she was a friend telling about her life and her experiences. The writing was clear and emotional at the same time, communicating the truth of Elena's mental state throughout her recovery process. Honestly, I think this book is so important. Eating disorders are a huge problem today, affecting so many people across the world, but we have the chance to make things better if we continue to tell our stories with the same honesty and bravery that Elena has shown in the writing of this book.